CHICAGO — In 1967, while she was a student at the University of Iowa, Kiff Slemmons and her boyfriend, now her husband, drove to Mexico with $300 in their pockets. Already a budding jeweler, Ms. Slemmons earned money to pay for the trip at a student art fair by selling earrings made from a discarded beaded curtain. During the two weeks that they spent in Mexico, they visited Monte Albán, a pre-Columbian archaeological site in the southern state of Oaxaca. There, Ms. Slemmons was struck by the jewelry in Tomb 7, which, in addition to gold and silver, was made of materials including shell, coral, amber, pearls, turquoise, obsidian and bone. The diversity of the pieces inspired in her a seminal interest in ethnic jewelry and, she said, “the language of materials, their possibility for metaphor and the idea of array.” It was an interest that would stay with her over her career. More than three decades later, the inspiration that Ms. Slemmons found in Oaxaca came full circle. During another vacation trip there in 2000, she was invited by Francisco Toledo, a Mexican artist and cultural activist, to create jewelry designs for the Taller Arte Papel Oaxaca, a workshop he set up in 1998 to make handmade paper and products like blank books, kites and boxes for sale in local boutiques. Ms. Slemmons, now 68 and based in Chicago, was initially reluctant. She works mostly in metal, creating conceptual pieces more like miniature sculptures than mass-produced decorative jewelry. Wearability is not her primary concern. In an innovative 2006 exhibition at the Chicago Cultural Center, “Re: Pair and Imperfection,” she showcased flawed fragments from fellow jewelers reincarnated as new pieces. She also likes to use odd found objects like cat whiskers, mouse bones and metal street cleaner bristles to create one-of-a-kind pieces. But in Oaxaca Ms. Slemmons experimented with sheets of handmade paper — cutting, rolling, folding or inking it — and came up with stylish designs that could be replicated in the workshop. Chunky bracelets are made from strips of paper bound with elastic string; hundreds of small circles form cordlike necklaces reminiscent of African beads; rolled paper tipped with ink create chili-shaped beads. The paper pieces have the added bonus of being made of a renewable, relatively inexpensive material. 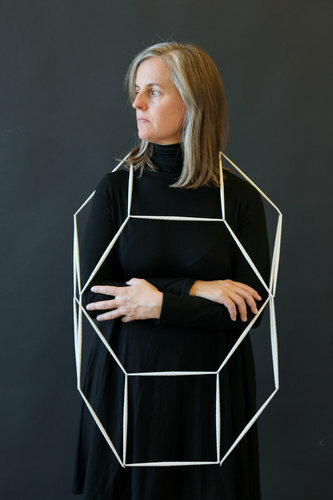 Ms. Slemmon’s nonpaper jewelry typically sells for $5,000 to $10,000 in the United States. In contrast, a paper necklace from Arte Papel might sell for $20 to $55 in Oaxaca, and a bracelet $15 to $25. Proceeds go to the workshop, now a cooperative with 13 employees. Over the past 12 years, while still working on her own pieces back home, Ms. Slemmon has returned to Oaxaca for a few weeks each year to refine and elaborate the designs, working alongside craftspeople in the refurbished hydroelectric plant that houses the workshop. For Ms. Slemmons, who counts poets and writers as a major influence on her work, paper — and the ideas written on them — are powerfully symbolic. Her father edited and published a small weekly newspaper in Iowa, and she grew up surrounded by newsprint, typewriters, ink and linotype machines. Making paper jewelry from local plants like majahua, agave and cotton, and such traditional dyes as indigo, cochineal and ochre, also has special significance in Mexico, she noted. When the Spanish conquistadores arrived in Mexico, they were amazed by the sophistication of the culture and its thousands of books made from handmade paper. Seeing books as a threat to their rule, they burned nearly all of them. In addition to the jewelry made for local sale, Ms. Slemmons designed more elaborate, avant-garde paper jewelry for exhibition and sale abroad. Examples include a long ladderlike necklace of thin tubes of paper that can be reconfigured around the neck and shoulders in a dramatic helix; and a dense circlet of pointy beads like radiant firecrackers. A 2010 exhibition at the Chicago Cultural Center displayed white paper jewelry, titled “Huesos,” or “bones” in Spanish. Another white collection will be on view at Douglas Dawson Gallery in Chicago from Dec. 12 to Jan. 12, priced at $100 to $1,500. The ink and linotype machines of her father’s newspaper “turned hot metal into words — something I’m still trying to do today,” she said of her metal jewelry at a talk at SOFA, the art and design expo, in Chicago last month. 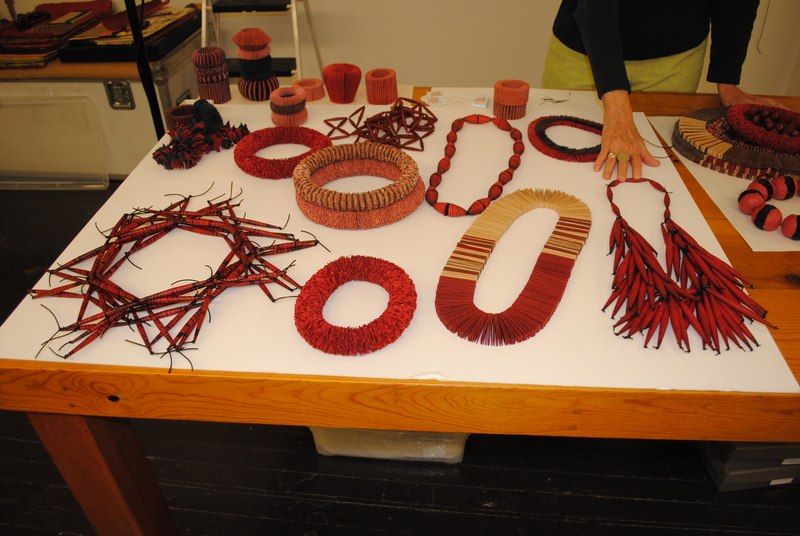 In paper, Ms. Slemmons strives for a similar transformation through her Oaxaca jewelry.